11-year-old Alice Paul Tapper is challenging girls everywhere to speak up! When Alice Tapper noticed that the girls in her class weren't participating as much as the boys, she knew she had to do something about it. With help from her Girl Scout troop and her parents, she came up with a patch that other girls could earn if they took a pledge to be more confident in school. Alice even wrote an op-ed about the experience for the New York Times! Today, Girl Scouts across the country are taking her pledge and providing models of leadership for other girls. Inspired by that piece, this picture book illustrates her determination, bravery, and unwillingness to accept the status quo. Alice's spirited and enthusiastic story encourages girls to see the value of taking chances, trying new things, and making their voices heard. 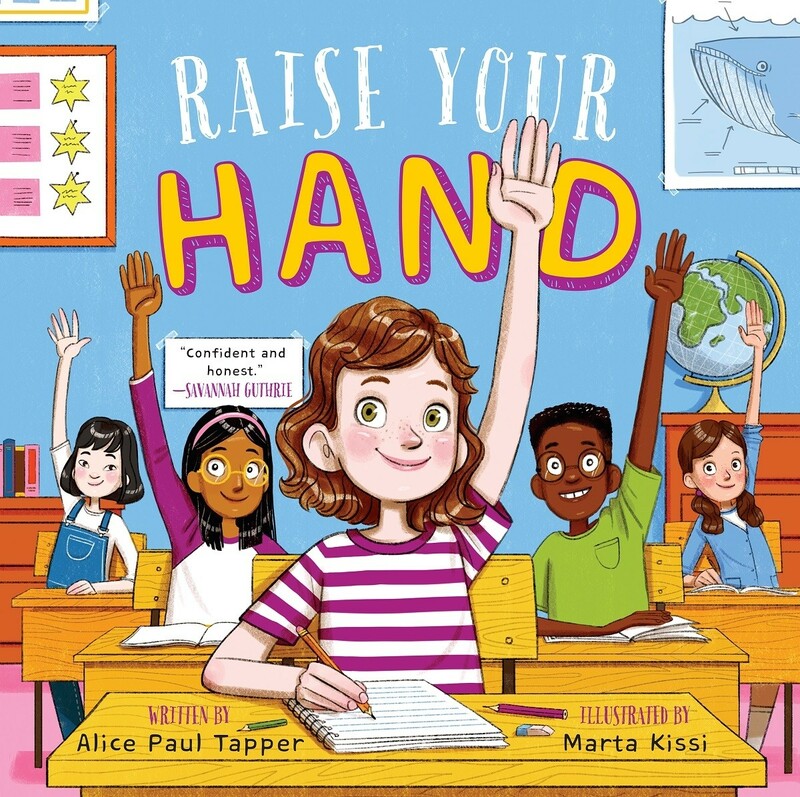 With Marta Kissi's delightful illustrations depicting Alice's story, young readers everywhere will want to follow Alice's lead and raise their hand!